After the First World War a farmer returned to reclaim his land in and around what was left of the wood he had left in 1914. 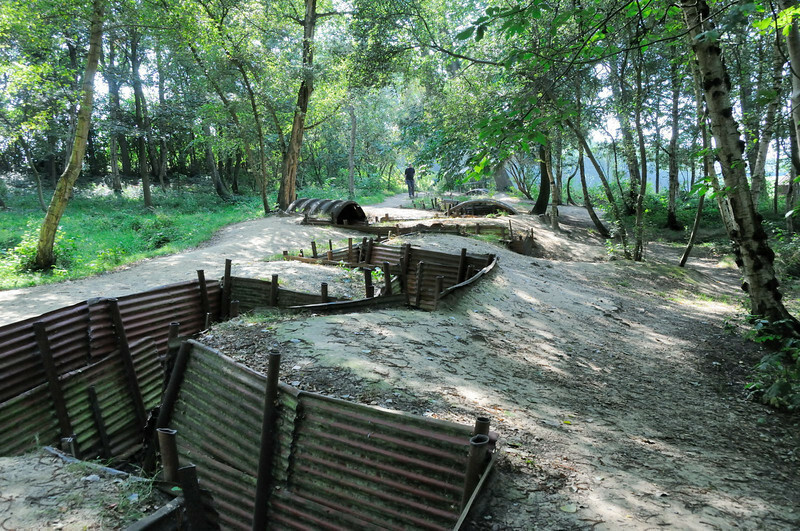 A section of the original wood and the trenches in it were cleared of debris and casualties but generally the farmer left a section of a British trench system as he found it. This site is now one of the few places on the Ypres Salient battlefields where an original trench layout can be seen in some semblance of what it might have looked like. Elsewhere the trenches were filled in and ploughed over by returning farmers leaving only the occasional chalky outline of what had once been there.